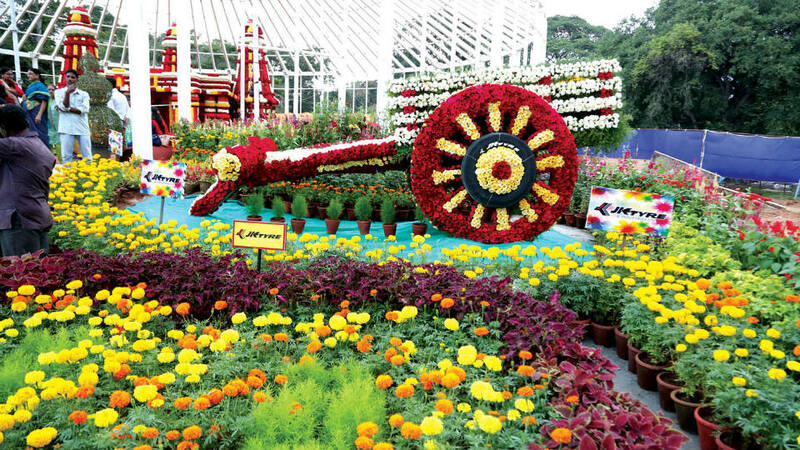 The Dasara Flower Show, which was inaugurated at Kuppanna Park here yesterday, has been successful in attracting hundreds of visitors on Day 1. 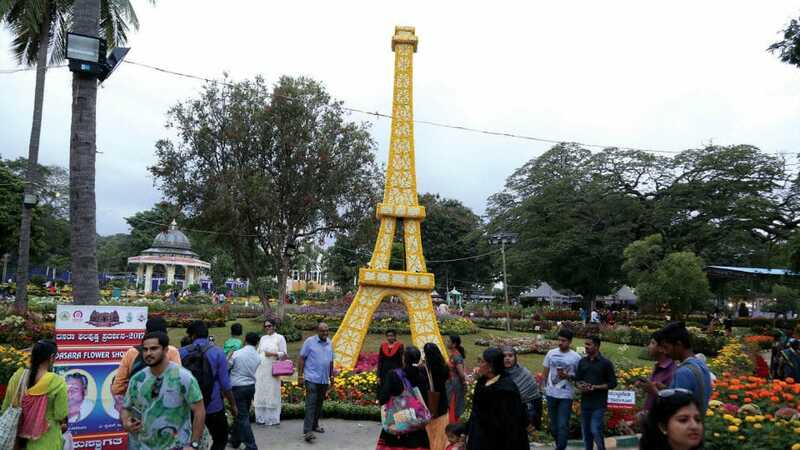 The main attraction at the Flower Show being the floral replicas of Somanathapura Temple, the Eiffel Tower, Silver Jubilee Clock Tower, Chamundeshwari Temple Arch and Bullock Cart and much more with a Musical Fountain too. 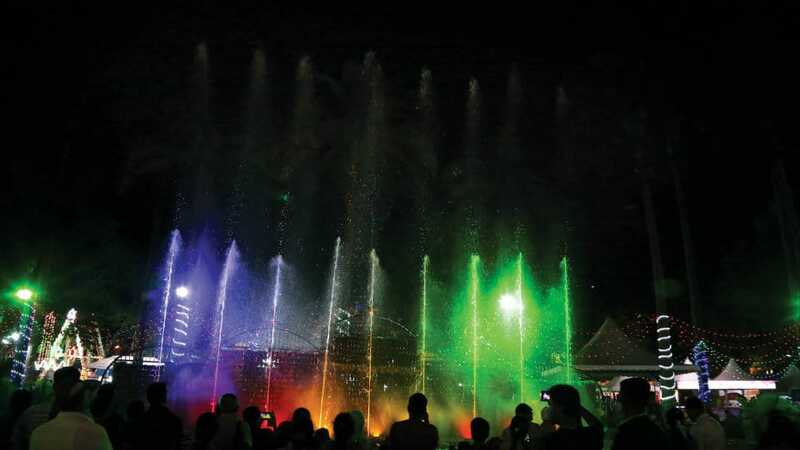 Entry fee for adults is Rs. 25 and Rs. 10 for kids. 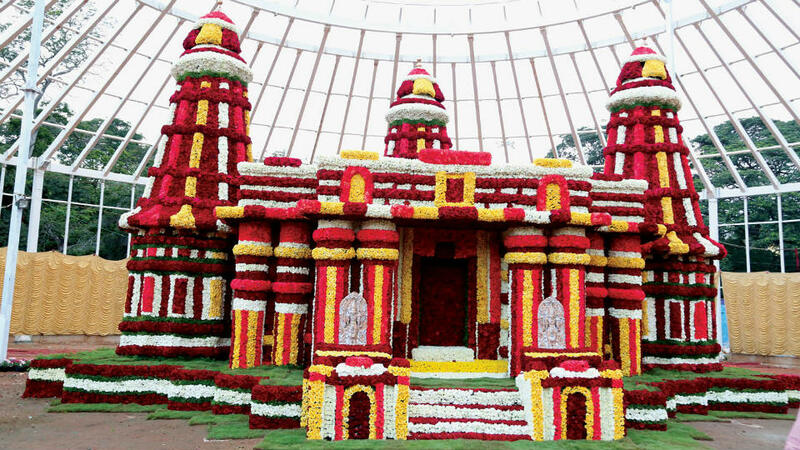 The flower show will be held till Sept. 30 between 9am and 9 pm.